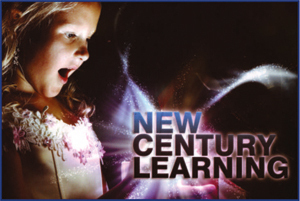 In the international educational circles, activity based learning is gearing up. Activity based learning is nothing but education through entertainment. As an initiative in this direction, e-learning id introduced which is equipped with various activities such as Quiz, Group Discussion and Mind Mapping. 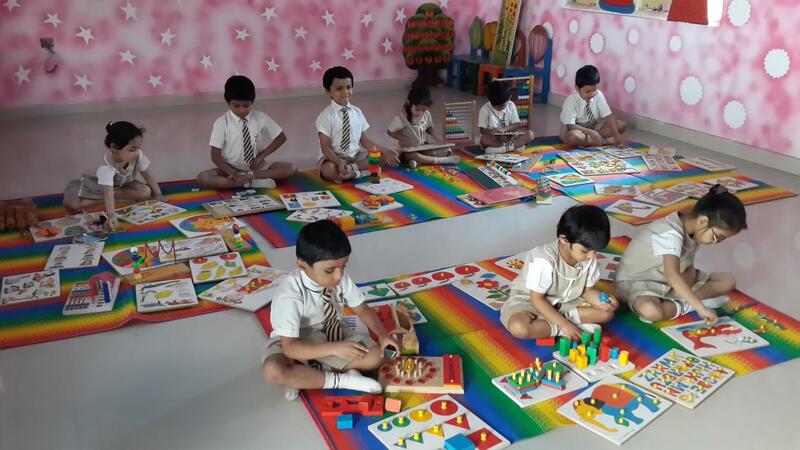 These activities ensure development of conceptual skills and personal competencies of the students. The students have been classified into four houses. Each house is headed by a House mistress( teacher ) and a House captain ( Student ) to perform various curricular and co-curricular activities. Computer Literacy is as important for our children to acquire as any other basic skill. Techno School is an IT education and development company to provide solutions with respect to new ICT curriculum, Methodology and training from the best practices to both students and teachers of IPS including applications through MS word, Excel, Power Point, Database, Internet, Web technologies and multi media concepts at various levels. As an important stake holder in the education system, we have always believed in the very best for your children. 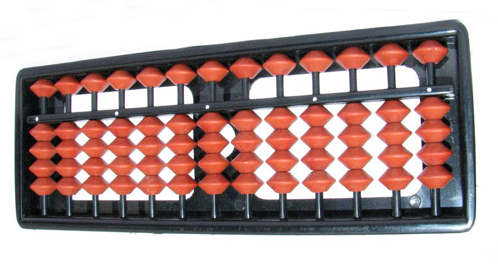 We have right no stone unturned to improve the process of classroom teaching and learning. NIIT, Microsoft, Intel, the three majors in their respective fields, have joined hands with our school to take a step forward in this direction. It facilitates the integration of technology into teaching-learning process and helps effectively disseminate knowledge in a manner that is easier and far more interesting. 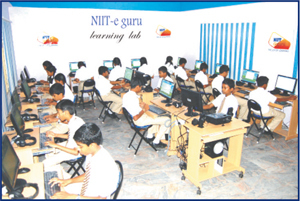 Advanced technology is an essential feature of modern education which is introduced in our class rooms. Audio visual digital class rooms are developed with advanced e-learning modules using interactive based teaching. Students learn and understand more effectively when they see, listen and interact. Digital class rooms provide stupendous opportunities for the students to exposure themselves for the bright career and make them thorough in certain subject areas. Kinds of all ages enjoy hands-on construction activities, so that aspect of robotics is accessible across the board; further, ability in this in this area vary widely within an age group, which an age group, which allows indivisuals to achieve mastery and demonstrate competence. Youth love a chance to show their peers (or teachers!) what they've learned and what they can do, and the many different subsystems involved. Studying robotics in the classroom has the potential to make computer progrmming a less abstract endeavour, engage youth who would otherwise not be interested or engineering, and bring high-technology down to the practical, everyday level. The school lays great emphasis on physical fitness of students and tries to provide facilities for games,sports, yoga and recreating activities for all. The programme also includes rhythmic exercise, athletics etc. The indoor games teach obedience to rules and regulations, promote cooperation and self control. The outdoor games develop team discipline, determination, sense of duty and the will to persevere and win. Students are encouraged to participate in various sports so that they are healthy and fit. 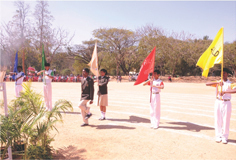 Inter-school and inter-class tournament are regularly organized. The school has outdoor and indoor games facilities. 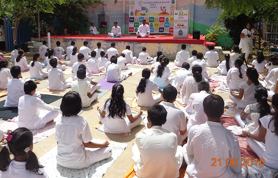 Yoga for sound mind and healthy body In an attempt to improve psycho-social competence of our students, we introduced yoga as a part of our regular curriculum. During the yoga sessions, experts imparts various yoga techniques such as deep breathing, visualization, progressive muscle relaxation and meditation to release the stress. These sessions also help children to improve their concentration on studies and work.. 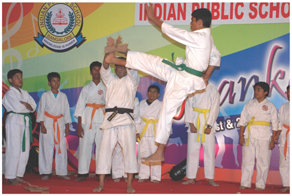 In addition to the physical education, regular karate classes are also conducted in the school premises by an experienced karate master to build up strong mental and physical health. It improves self control, confidence, memory power, concentration and personality development. At leap start we understand that fitness is not just a physical condition but also a critical element in the academic and social development of children. Our leap start program supplements good academic education with an age appropriate, research based sports and social recreation program with the exclusive partnership of US based SPARK (sports, play and Active Recreation for Kids Organisation. (K-2,3-6,7-12) to encourage the child to fully embrace sport and fitness right including motor and social development, physical and gross motor movements, physical fitness and general sports skills through sports. Each program includes a highly active curriculum on site dedicated leap start instructor, content- matched equipment and extensive follow-up support with assessments. This programme has revolutionized learning abilities in young children Internationally. In a time of such rapid change and global competition the priority is to teach How to learn and how to think from a very young age. This is done in a fun learning way and it develops the two key skill fast learning and clear thinking. Specially trained teachers teach this programme to. Stimulate neurons to form new connections in the brain. Balance the physical, social and emotional development. Enhance the learning process through a colorful ambience. © 2018. IPS. All Rights Reserved.